It has been brought to my attention that there are several more people in the world who need to be fed to my crocodiles. * I am about to produce pictorial evidence which I will use to justify my actions when I force-feed the perpetrators to my reptiles. ** Today, I bring three defendants to trial. The crime? Apostrosoddingphes. Apostrophes, and grievous crimes against grammar and good English. I am a stickler; a word popularised by the book 'Eats Shoots & Leaves 'by Lynne Truss. Whenever I see a spelling mistake or an abuse of grammar printed out in an official place, I start to levitate from rage. Well not really, but I do go a funny colour. Without further ado, I present the three defendants to the court. Defendant # 1 - A sign in a café located at my University. I beheld it, blinked a bit in surprise, then promptly stole it and ran off with it under my coat. For crimes against grammar, you understand. 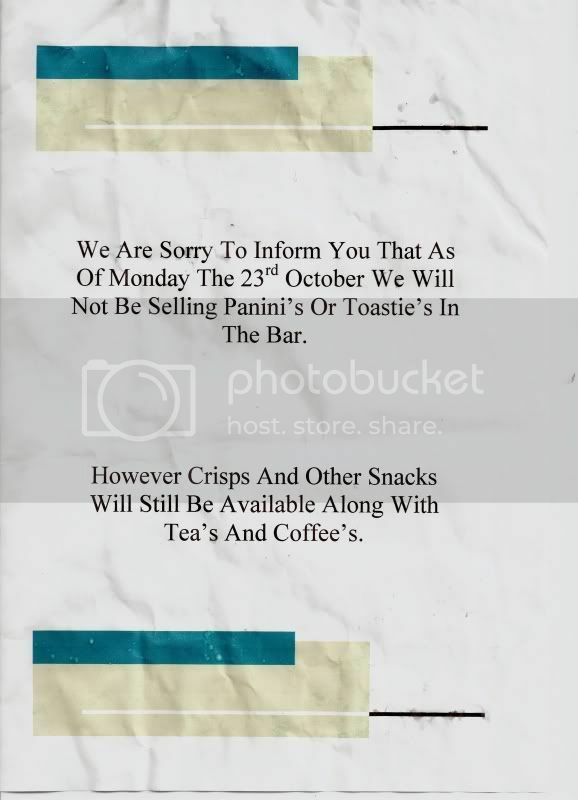 Interesting fact – Crisps and Other Snacks are lesser citizens, and are not awarded the right to own possessions or apostrophes. Crisps and Other Snacks are outraged, and are currently campaigning for equal rights amongst all edible materials. 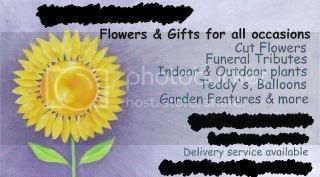 Defendant # 2 – A card left in a pub, advertising a flower shop that was opening soon. Interesting fact – This flower shop caters to teddy bears. Balloons can go elsewhere. Defendant # 3 – PC World. Crime – Apostrosoddingphes. Gentle reader, I can assure you that this is not photoshopped. I beheld this with mine own eyes, just a few hours ago. 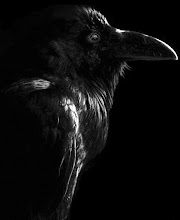 There are four things that I beseech the jury consider before beholding the evidence. 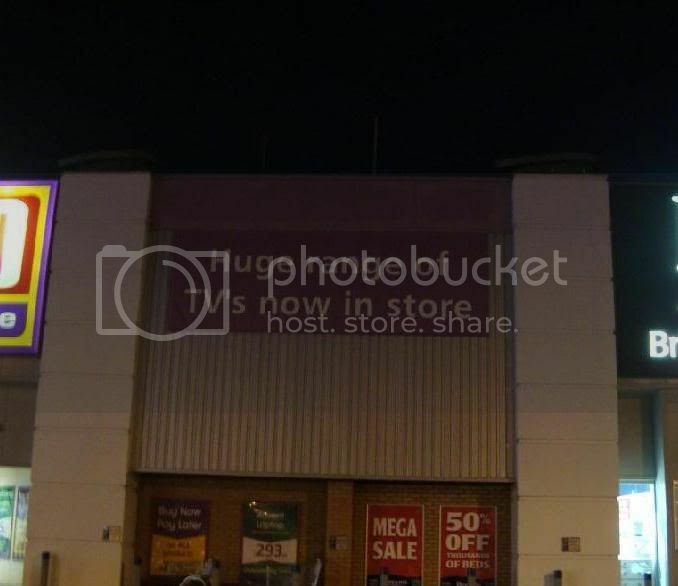 Firstly: someone was paid to design this sign. Secondly: someone was paid to proof read it. Thirdly: someone was paid to print it. Fourthly: someone was paid to hang it. Not once during this harmonious line of productivity did someone step in and utter "Er, no." Yes I am an obnoxious stickler. I am also a bored obnoxious stickler. I am okay with this. *For those of you who don’t know, when I am rich I am going to live in a castle. And I will have a moat. And in that moat there will be crocodiles, but no water. The logic here dictates that the crocodiles will be so p***ed off by the fact that their environment lacks the one element in which they thrive, and as a result they will be twice as deadly. Angry crocodiles are more dangerous than happy crocodiles. **Don't argue with my logic. Are you going to take pictures of the crocodile feedings, too? That I'd like to see. Absolutely. And they will be publicly documented!